Although not required, the degree’s aim to help prepare a wide variety of students for futures beyond their M.A. means that the Department encourages its graduate students to consider participating in an internship at some point in their degree. Whether students hope to apply to a Ph.D. or look for work in any number of other careers, the practical experience of putting their skills to use during an internship will come in handy — in many cases the novel skills acquired in the required REL 502 foundations course, on digital skills in the humanities. To accomplish this, the Department has established relationships with a variety of on- and off-campus groups which are eager to work with our graduate students. 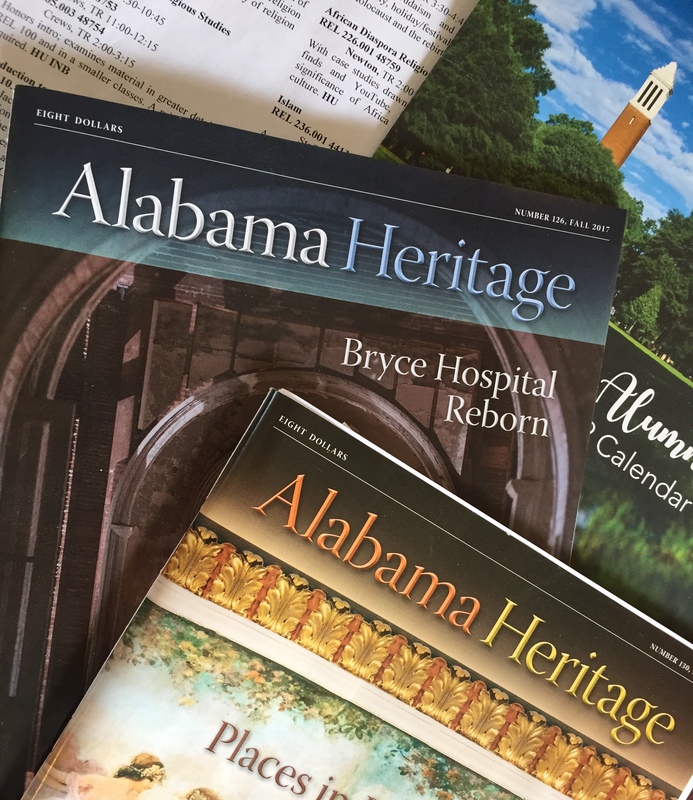 For example, Alabama Heritage magazine is one of the local sites where M.A. students can gain greater experience proofreading, fact-checking, or even writing their own blogs and articles. As well, UA’s own Faculty Resource Center has a number of projects that REL M.A. students can tackle, such as carrying out “big data” analysis or video production. Internships are unpaid and non-credit; they can vary in time commitment, from 5 hours per week for approximately 10 weeks to more time, all depending on what sort of experience the students wants and what skills they’re hoping to use or learn. And they can be carried out in the Fall, Spring, or Summer semester. If you’re interested to learn more or set up your own internship, please contact our Graduate Director.